If you have had any previous experience with a financial advisor, chances are the conversation revolved around how much money you have, where it’s located, we can do a better job. It would seem that most investment firms share the same singular focus of trying to find better products that earn a higher rate of return which often take more risk. For all of the fancy analytics and mathematical acrobatics available today, nobody has yet figured out how to predict the future. Earning higher returns is certainly not a bad thing, and something we can help you with as well, however we believe we should help our clients avoid money they could be losing unnecessarily before considering options that require more risk. Return is not the only thing to consider when evaluating the efficiency of your own personal economic model. 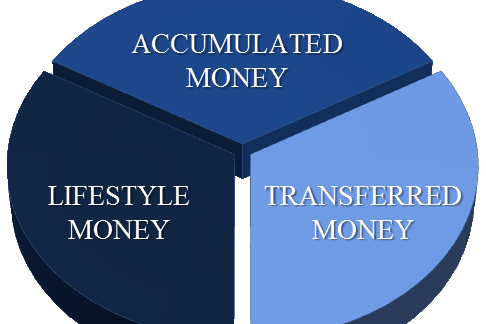 There are three types of money; the money used to secure your financial future must somehow come from these three areas. Accumulated money represents the dollars you currently have invested and are currently saving. You could focus your attention on these dollars in order to find better investments that potentially pay higher rates of return. Lifestyle money represents the dollars you are spending to maintain your current standard of living: where you live, what you eat, where you vacation etc. For many people, this is where the conversation ends. While everyone wants to solve their financial problems reducing their current standard of living is not a popular option. What if there were a way to address the issue without having to incur more risk or impact your present lifestyle? I’m glad you asked! -How you pay for major capital purchases like cars, education, weddings, and other large expenses. I believe that there is more opportunity to serve my clients by helping them first avoid the losses, before trying to pick the winners. My focus with clients begins with eliminating the involuntary and unnecessary wealth transfers. Consider this. There are two ways to fill up a bucket that has holes in it. 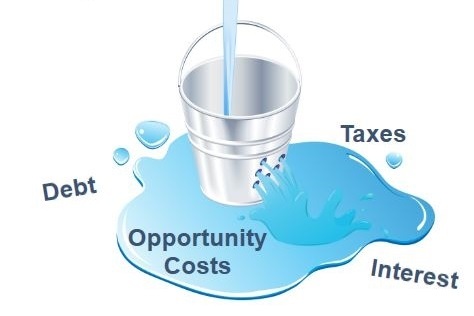 One way is to pour more in, and the other is to first plug the holes, then the bucket will fill up even if the flow is just a trickle. Which strategy more closely resembles the way you are currently approaching financial management?